When an egg is broken from the outside force.....a life ends but when broken from within….life begins. Great things always began from within. The joy of childhood. The joy of getting into the right college. The thrill of bringing home your first paycheck. The warm glow of a picture-perfect wedding day. The fulfillment of building a better life for your family. Whenever you reach one of those landmarks that define a life well lived ,think of the way it feels. 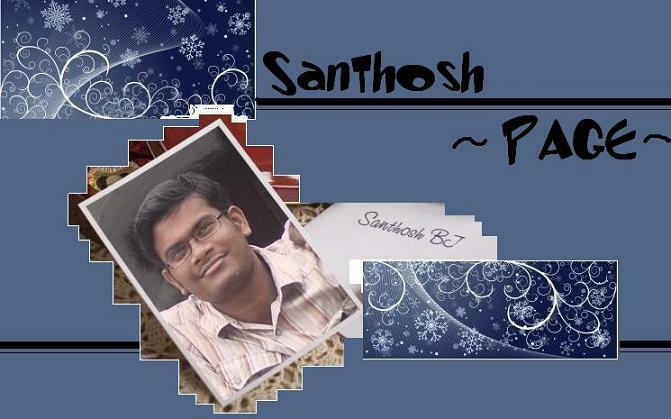 It's me ... Santhosh, working as Senior software engineer.